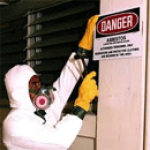 Refresher Training Renewal applications must be received in the Asbestos Program office 30 days prior to the expiration date of the current accreditation card or it will be treated as an initial application, which requires the initial fee. All renewal applicants must successfully complete a refresher course in the same discipline as their initial course. Reciprocity Michigan accepts training course certificates from all U.S. EPA approved training providers. All training courses conducted in Michigan must be Michigan approved. Initial Inspectors, Management Planners, and Project Designers must submit a resume complete with the following information: (1) name of employer; (2) type of asbestos-related work performed; (3) percentage of total job that was asbestos-related; (4) period of employment (beginning and ending dates of employment). Contact the department regarding contractor licensure requirements and training provider approval. 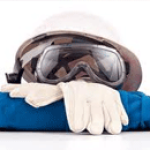 Juneau Property Maintenance is a property management company providing landscaping, snow removal, and environmental services and training for our customers and clients alike. 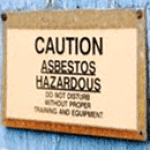 Juneau Property Maintenance offers Asbestos Certification classes in Michigan, including the Asbestos Contractor/Supervisor training, and Asbestos Supervisor Refresher courses.